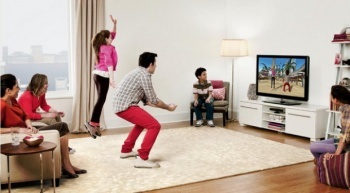 Despite a fairly hefty price tag, Kinect will not be a loss leader product, says Microsoft. It's taken a few hundred million in development costs, and the hard work of around a thousand people, but Microsoft's head of interactive entertainment Don Mattrick says that the company will make a profit on every Kinect it sells. The prototype for Kinect apparently cost around $30,000 to make, but Microsoft has managed to bring that price down a tad, to somewhere in the region of a hundred and fifty bucks. We don't know exactly how much profit Microsoft will be making on each Kinect box, but it seems reasonable to assume it's not going to be a huge amount. But with consumer interest thought to be very high for Kinect, and some retailers reporting that all their stock is accounted for before the device is even available, even fifty cents on each box is soon going to add up. Microsoft has spent a lot on Kinect - the marketing budget alone weighed in at $400 million - so it's going to be a while before it fully recoups the cost. But with the profit from the hardware sales, not to mention software sales and Xbox Live Gold subscriptions, it's going to be sooner than you might have thought. Kinect hits shelves, and then apparently flies straight off them again, on November 4th.